"And the great dragon was thrown down, that ancient serpent, who is called the devil and Satan, the deceiver of the whole world — he was thrown down to the earth, and his angels were thrown down with him. And I heard a loud voice in heaven, saying, "Now the salvation and the power and the kingdom of our God and the authority of his Christ have come, for the accuser of our brothers has been thrown down..."
The rightful king has been displaced. There is an impostor who has temporarily usurped the king's throne. The kingdom awaits the return of the king's son to restore peace and harmony. Even the hyenas shutter at the mention of Mufasa's name. Even though Mufasa seems to be long gone, Scar still fears his reputation. For this reason Scar forbids anyone from mentioning the name, "Mufasa." Scar realizes that it would be better for him that people never think about Mufasa... he doesn't want people to remember the superior quality of life they enjoyed while Mufasa ruled. Satan temporarily rules the world as we know it because God allows him. This is evident by the fact that sin infects everything and everyone and God's will is not being carried out by everyone all the time (as it is in heaven). In this way, the true King's authority has been displaced. However God's kingdom will be restored when Christ returns. When God's Son reestablishes His Father's authority on earth, He will replace death with life and humanity's propensity for injustice will give way to an overwhelming love for doing the right thing. Jesus will banish the things that plague everyday life: hunger, discontentment, suffering, exhaustion and hopelessness. 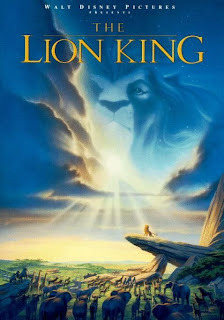 Lion King stars (all in voice only) Jonathan Taylor Thomas as young Simba, Matthew Broderick as young adult Simba, James Earl Jones as King Mufasa, Jeremy Irons as Scar, Cheech Marin as Banzai the Hyena as Whoopi Goldberg as Shenzi the Hyena. You truly have a gift for comparison. Great post - I remember seeing this in the movie theater right after my father passed away, I have always had a special place in my heart for this movie. Thanks for this post I will think of the Godly comparison each time I watch this movie in the future, it will also give me a great conversation starter with my kids! It's nice to have something to help explain things in a way they can relate to also! Keep up the awesome writing.